WebRTC is a free open source standard for real-time, plugin-free video, audio and data communication between peers. Many solutions like Skype, Facebook, Google Hangout offer RTC but they need downloads, native apps or plugins. The guiding principles of the WebRTC project are that its APIs should be open source, free, standardized, built into web browsers and more efficient than existing technologies. Obtain a Video, Audio or Data stream from the current client. Gather network information and exchange it with peer WebRTC enabled client. Exchange metadata about the data to be transferred. Stream audio, video or data. That’s it ! .. well almost, it’s a dumbed down version of what actually happens. Since now you have an overall picture let’s dig into the details. 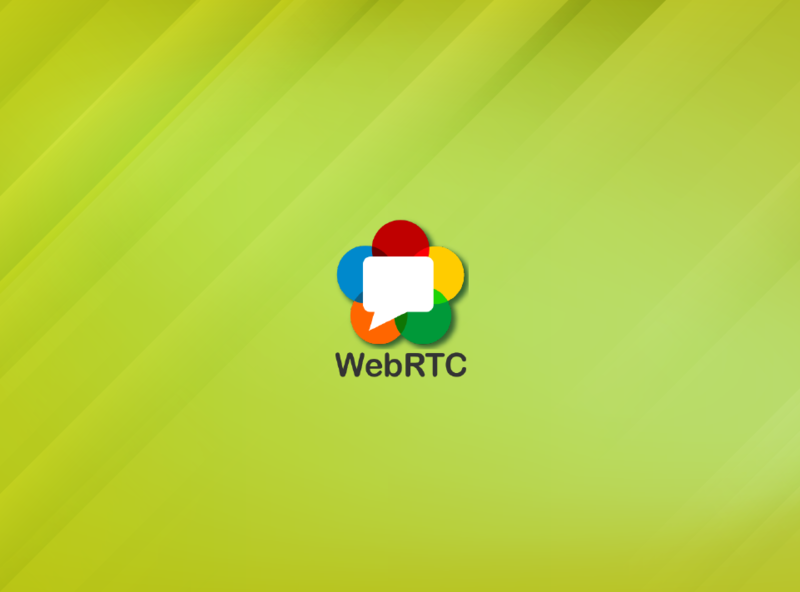 WebRTC provides the implementation of 3 basic APIs to achieve everything. MediaStream: Allowing the client to access a stream from a WebCam or microphone. RTCPeerConnection: Enabling audio or video data transfer, with support for encryption and bandwidth management. RTCDataChannel: Allowing peer-to-peer communication for any generic data. Along with these capabilities, we will need a server (yes we still need a server !) to identify the remote peer and to do the initial handshake. Once the peer has been identified we can directly transfer data between two peers if possible or relay the information using a server. MediaStream has a getUserMedia() method to get access of Audio or Video or a data stream and provide success and failure handler. This interface represents the connection between local WebRTC client and a remote peer. It is used to do the efficient transfer of data between the peers. Both the peers need to setup RtcPeerConnection at their end. In general, we use an RTCPeerConnection::onaddstream event callback to take care of audio/video stream. The initiator of the call (the caller) needs to create an offer and send it to the callee, with the help of a signalling server. Callee which receives the offer needs to create an answer and send it back to the caller using the signalling server. A STUN server allows clients to discover their public IP address and the type of NAT they are behind. This information is used to establish a media connection. 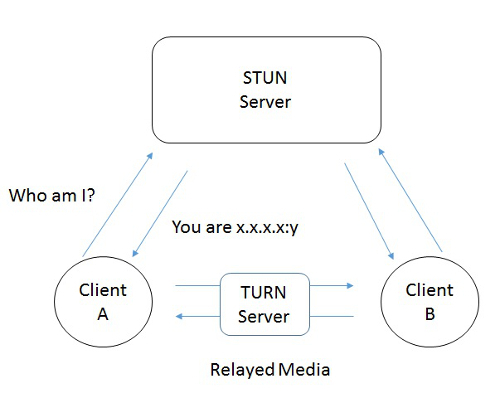 In most cases, a STUN server is only used during the connection setup and once that session has been established, media will flow directly between clients. If a STUN server cannot establish the connection, ICE can switch to TURN. Traversal Using Relay NAT (TURN) is an extension to STUN, that allows media traversal over a NAT that does not allow a peer to peer connection required by STUN traffic. TURN servers are often used in the case of a symmetric NAT.